I will never say “No” if someone talks about food or anything related to it. Well, when I got an invite from Movenpick Hotels & Spa for a dessert master class I was overwhelmed. 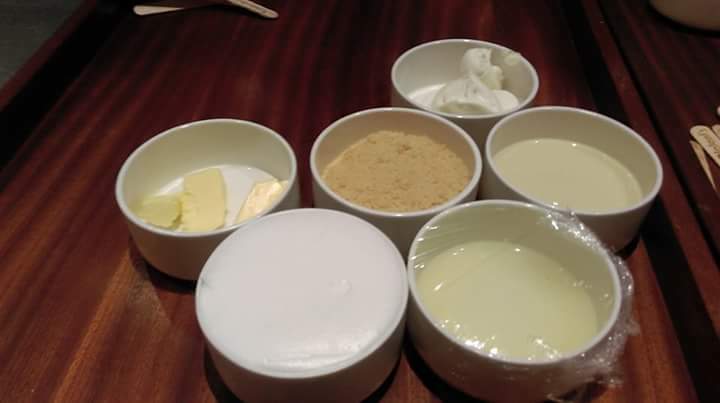 On 19th April 2015 I started getting calls from my foodie friends and we were excited to meet and learn about the preparation of Frozen Desserts. This event I will never forget in my lifetime, it was ultimate fun and I could feel the concept of “Fun at Work”. Movenpick Hotels & Spa is one of the graceful celebrated restaurants in Bangalore and located near BEL Circle. Hotel interiors are mind blowing and will never end if I start describing about it. 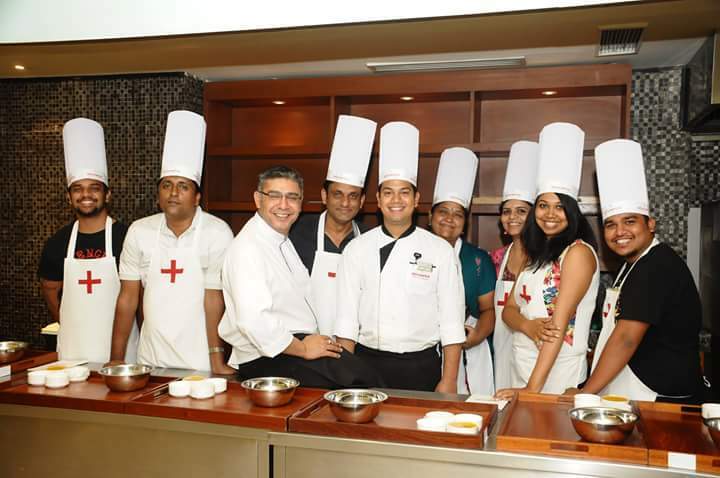 This Master class was organized in “My Place” which is one of the restaurants in Movenpick Group and well known for their Lavish Buffet with world cuisine. Our huge group able to reach on time and the restaurant was quite welcoming. Before trouncing to the class, staffs served some Veg & Non Veg starters to give some energy in the Class. The Frozen Dessert Workshop was organized by Chef. Rayomund Pardiwalla who works as Executive Chef in Movenpick. I never had seen such an easy going and down to earth Chef. He was approachable and friendly though! Folks who work under him are very happy; I noticed this during the Class. A Workshop was conducted in a Sector off the Buffet area, which had so many large trays filled with raw materials used for the first set of Frozen Dessert. We started with the easy one, that’s Fresh Mango Sorbet which is easy to prepare at Home. Our trays had Mango Pulp, Water, Liquid Glucose and Sugar. This dessert preparation started with dissolving sugar in a liquid glucose and water on a Stove. After that we poured Mango Pulp in that Sugar Solution and churned it Mixer. At last added this mixture to Ice Cube Trays and this would be served once it’s ready. Second one, which we tried was Frozen Blueberry Cheese Cake Pops, somewhat difficult. As usual, trays were again filled with ingredients like Mascarpone Cheese, Whipped Cream, White Chocolate, Blue Berries, Vanilla Cookie Crumbles and Butter. We started mixing the crumbles with butter and kept aside, then smoothened Mascarpone cheese and folded into whipped cream. In between melted the white chocolate over a double boiler! After that we crumpled melted chocolate to smoothened mascarpone cheese and added blueberries. Entire mixture poured into the moulds and topped with cookie crumbs and set it in the freezer for 6 hours. For every activity, there should be an end. 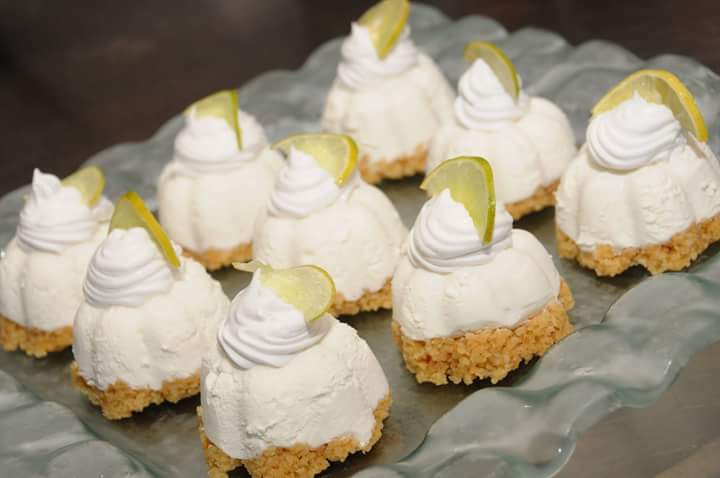 Yes, our workshop came to an end with last dessert which is Frozen Key lime pies. Ingredients were Key lime juice, Sweetened condensed milk, whipped topping, cream cheese, Butter (Unsalted) and Vanilla cookies. We started with crushing the cookies with butter and kept aside. Then Smoothened the Cream cheese using hand mixer and added condensed milk. After that added lime juice and made it even smoother. We had taken individual silicone cups and filled with cream cheese mixture and topped with crushed vanilla cookies. Kept in freezer for 4 hours to grab! We had some useful conversation with Chef and MD of Movenpick, Bangalore. It was a wonderful time and I would like to Thank Movenpick for organizing such a great Workshop. Previous Post New Add-on to Exclusive Roof Top Experience – Skylit, Citrix Hotels, Cunningham Road, Bengaluru. Next Post Celebrity Restaurant “Paradise” in Indiranagar, Namma Bengaluru. So does Movenpick serve all these desserts at its in-hotel bakery? Yes, they do have bakery and most of the desserts are included in their Sunday Brunch! The Buffet spread is Lavish with amazing world cuisines.